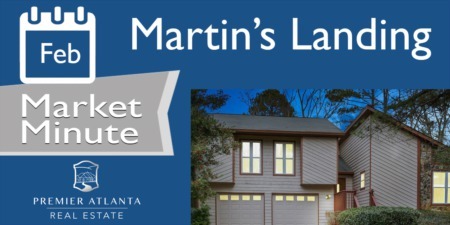 In our last market update when we looked at the Alpharetta real estate market, it appeared that we were starting to see signs that a pricing correction may be on the horizon. With the overall economy stable, and in an election year, there really shouldn't be too many outside factors that will influence the real estate market. Except for one major influence - the Federal Reserve. There is a strong possibility that the Fed will raise rates. 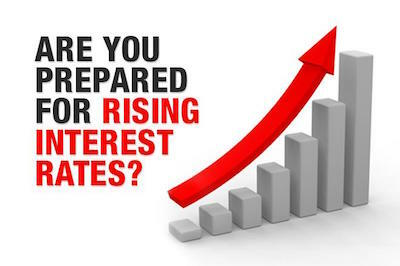 In recent weeks, the Fed has been hinting at the idea of raising interest rates and if they do, it will have an impact on the market. If interest rates rise, your buying power decreases because it makes it more expensive to buy a home. When this happens there there will be a smaller pool of buyers for homes thus lowering demand and in turn lowering housing prices. So Should You Wait to Buy? It all seems so easy - we predict prices to go down so we automatically think the right thing to do is to wait until they do before we buy a home. It's a natural conclusion to draw. However, it really is more complicated than that. First, there is no guarantee that prices will drop and if they do, there will still be certain areas that see very modest, if any price drops. In the higher demand areas, we may only see a leveling off of prices or perhaps an overall drop that only amounts to a few percentage points. That generally isn't enough to draw the conclusion that the right decision is to wait. How Will it Affect Homes in Roswell? Roswell is a great example of an area that will have a very small impact in the event that prices to decline as a result of diminished pent up demand and higher interest rates. This is due in large part to the demographics of the area, the schools, the lifestyle and the location. All of these factor into the equation because demand will always be higher in areas like this than the overall real estate market. The best thing we can do is look to see what's happening in the market now, compare it to what it was in the previous year and extrapolate what impact a minor slowdown would have on the area. We can also look back and see how an area like Roswell was impacted during the most recent severe slowdown that began here in 2007. Areas on the north side of Atlanta were not as severely impacted as other areas. We should expect that will be the case again as well. You can see from these numbers that the biggest slowdown from last year has taken place in the last 3 months because the percentage drop is much higher in the last three months than for the last 6 months. While this seems disconcerting to some degree, it is offset by the extremely low inventory. The overall Roswell real estate market is a strong sellers market. This brings us back to what will happen in a slowdown. Well, if the slowdown does occur, and it is likely to happen, it would bring us more in line with a balanced market and not throw us into a strong buyers market. Under this scenario, we would see prices level off more so than for them to drop. So with all of that said, I would still be of the opinion that if you are thinking about buying or selling, I don't see any reason to wait. There isn't anything on the horizon that looks like it will have a major impact on pricing - at least in the Roswell area. You can search all Roswell real estate for sale on our website and if you see something you would like more information on, just ask and we will be happy to help. As always, leave us a reply below. We would love to hear from you!